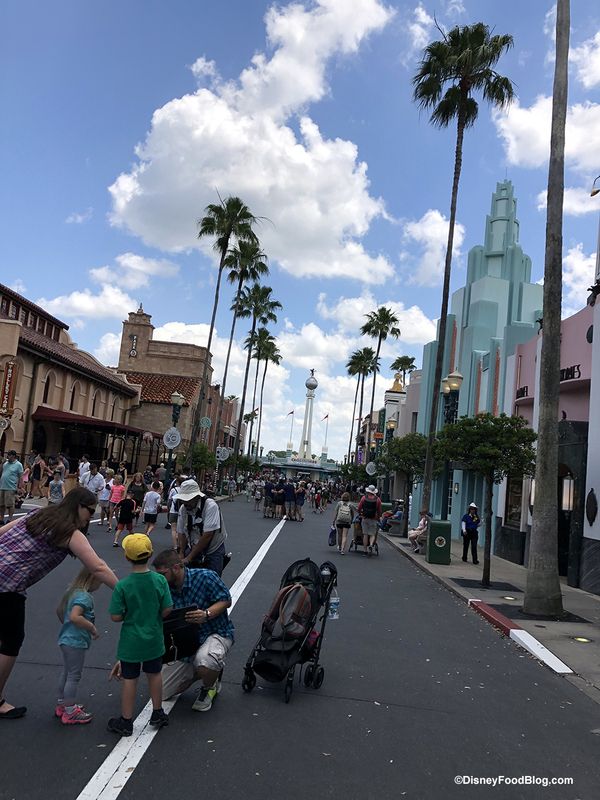 Hollywood Studios is exciting these days — between prep for the 30th Anniversary celebration (See the events and food here! ), Star Wars: Galaxy’s Edge construction updates, Skyliner station progress, and new merchandise (Avengers, Rebecca Hook Jewelry, and New Vintage Shirts), we hardly know where to start! What better place than at the entrance? Or maybe even before… because when you visit Hollywood Studios, currently you’ll see lots of construction and projects before you even enter the park.